Invest West Management (IWM) has been providing quality real estate management services to the Greater Portland-Vancouver area of investors, residents, and real estate community, proudly since 1979. IWM's Rental Property Management Division is a full-service property management team dedicated to professional, quality, and efficient real estate management. IWM has been managing all types of properties, large, medium, and small in the Portland-Vancouver area since 1979 and has been successful in maintaining the values, integrity, commitment, and professionalism required to be a respected leader in the industry. With years of experience, our Brokers and Property Managers possess all aspects of the commercial, multi-family, and single-family rental management skills. Our clients find that IWM's commitment to a common sense and educated approach to resolving the challenges faced in the current economic times confirms we are committed to doing everything in our power to ensure a positive "property management" experience. You will find at IWM, an incredibly respectful staff with the philosophy of building long-term relationships through respect and trust. Those relationships built are an important element to individual success as a real estate owner or a tenant looking to establish themselves in the "credit world". Continuing education and the constant awareness of the ongoing changes in the rental market are key attributes of the staff at IWM. We value every owner, tenant, and vendor who has made our business a successful enterprise. Education: We are experienced and knowledgeable in all phases of property management. We participate in continuing education on local, state and national levels. We have hands-on experience, network with our industry peers, and have membership affiliations with IREM (Institute of Real Estate Management) PMAR (Portland Metropolitan Association of REALTORS®) and Washington REALTORS®. Teamwork: Teamwork in this industry is of the utmost importance in order to keep track of issues and resolutions with all situations investors and property managers face in this industry. IWM provides custom management services, specifically tailored to meet the unique needs of each and every one of our clients. Invest West Management is a full service Property Management company. We handle the process of being a landlord by taking care of the details while making sure you stay informed. 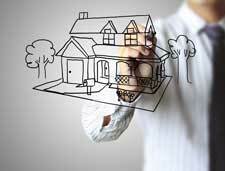 We customize your Property Management Plan to fit you and your property’s needs. From marketing & screening the right tenant(s), handling routine and on-going maintenance, to accounting, we’ll be able to work on a plan that works for your particular situation. Already have good tenants? No problem. We can take it from there, freeing up the time you currently spend managing. Invest West Management has relationships with many, quality vendors to insure prompt & reasonably priced repairs. We have an in-house maintenance staff to handle the majority of maintenance needs to keep maintenance of your property at a reasonable cost. If we need an outside vendor for a specialty project you can be assured they are qualified, licensed, and insured. With online access to your account, you’ll have 24/7 access to your property account information and reports. IWM is always finding the latest and most successful tools in advertising. Our state of the art computer software creates flyers, filters out to multiple websites that reach all areas of the country, and instantly implements changes to ads when needed. We are currently reaching not only local potential clients but have the technology to reach clients all around the world. Due to our continual technology support a good portion of our potential renters are relocating to our area from other parts of the country. This means more potential clients are looking at your rental property on our website. IWM is seeking the most qualified tenants to rent your property. IWM completes a full back background check on all applicants who apply for our properties. Each person 18 and older must meet our rental criteria to be considered to rent a unit in our portfolio. All properties require the tenant to pay a refundable security deposit and, if the property allows, a refundable pet deposit. This deposit is completely refundable if the property is left in the same condition it was in when the tenant first occupied the unit minus normal wear and tear. Units still need to be cleaned at move out to get the refundable portion of the deposit returned. The area has important ties to the Lewis and Clark Expedition of 1804–1806.